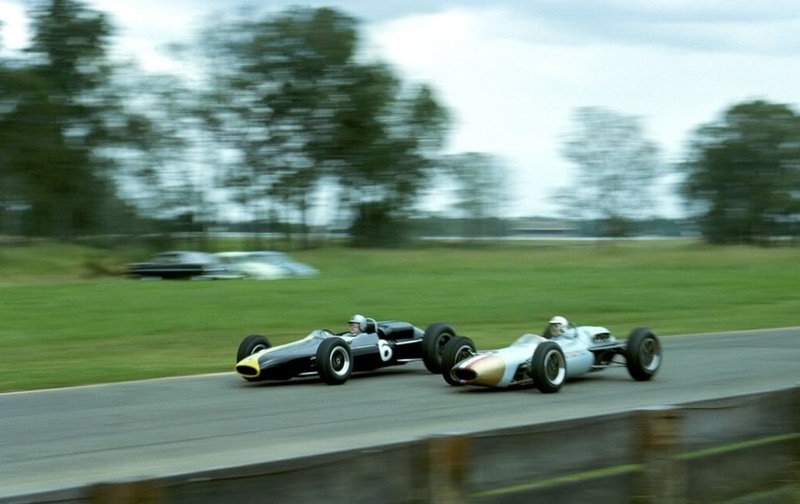 Tim Mayer is one of motor racing’s many ‘might-have-beens’, cut down in his prime in a Bruce McLaren Motor Racing Ltd Tasman Cooper T70 Climax at Longford, Tasmania on 28 February 1964. 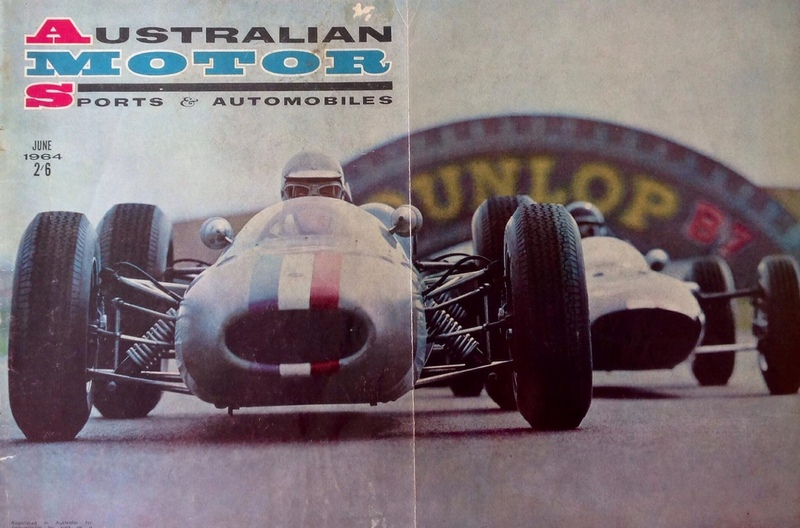 The young American made a huge impact in Australasia during his 1964 tour and is remembered in very fond terms by enthusiasts fortunate enough to see him race the big GP Cooper here. This article was inspired by John Ellacott’s color shot at Warwick Farm in the body of this article and some Getty Archive photos I tripped over researching something else. Other layers of personal interest are a growing obsession with Longford and that one of my mates, Adam Berryman, restored and owns one of the two Cooper T70 chassis. 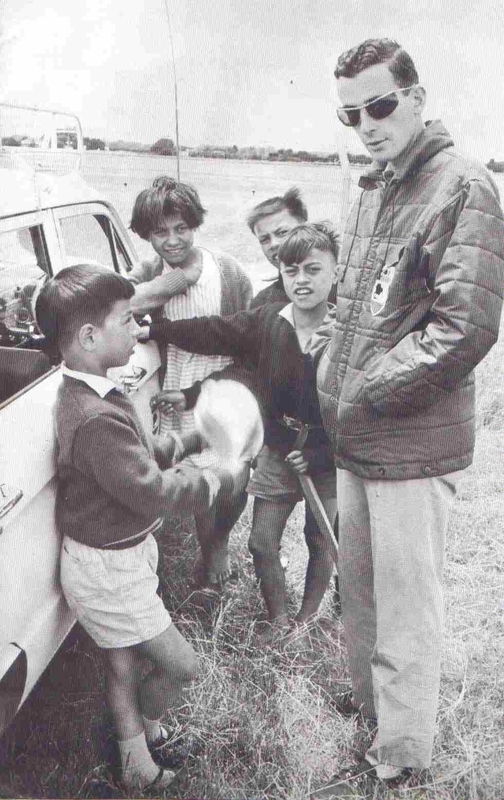 Tim raced ‘FL-1-64’ at Levin, Pukekohe, Wigram, Teretonga and Sandown. 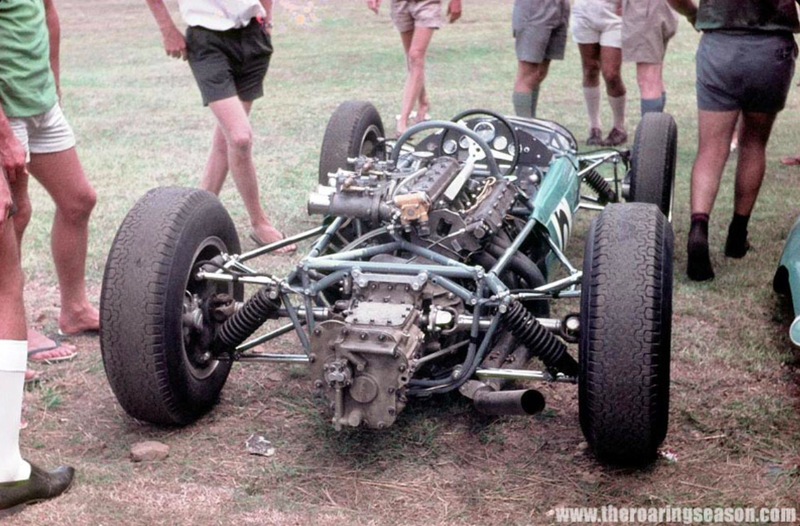 Bruce decided to swap cars with Tim at Warwick Farm, racing ‘FL-1-64’ at Warwick Farm, Lakeside and Longford. 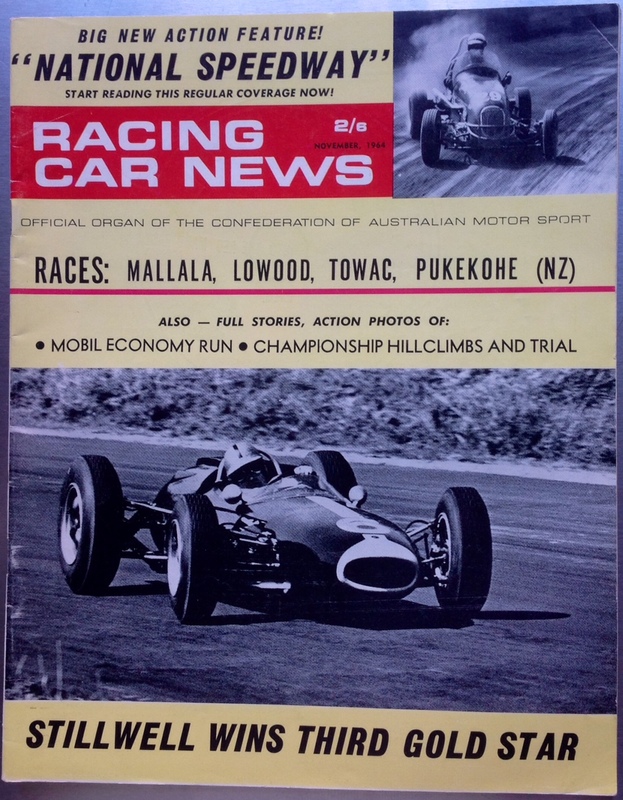 McLaren raced ‘FL-2-64’ from the Tasman’s commencement at Levin, Pukekohe 1st NZ GP, Wigram 1st, Teretonga 1st and Sandown. 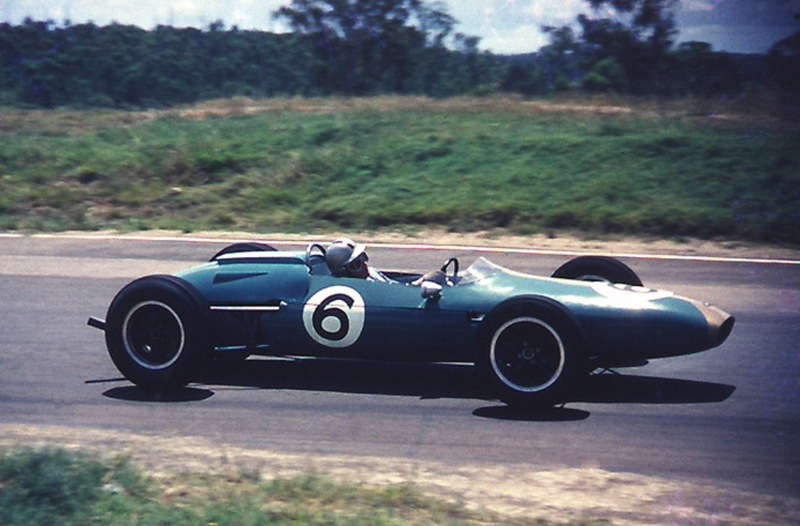 Tim raced ‘FL-2-64’ at Warwick Farm, Lakeside and at Longford when it was destroyed in practice. 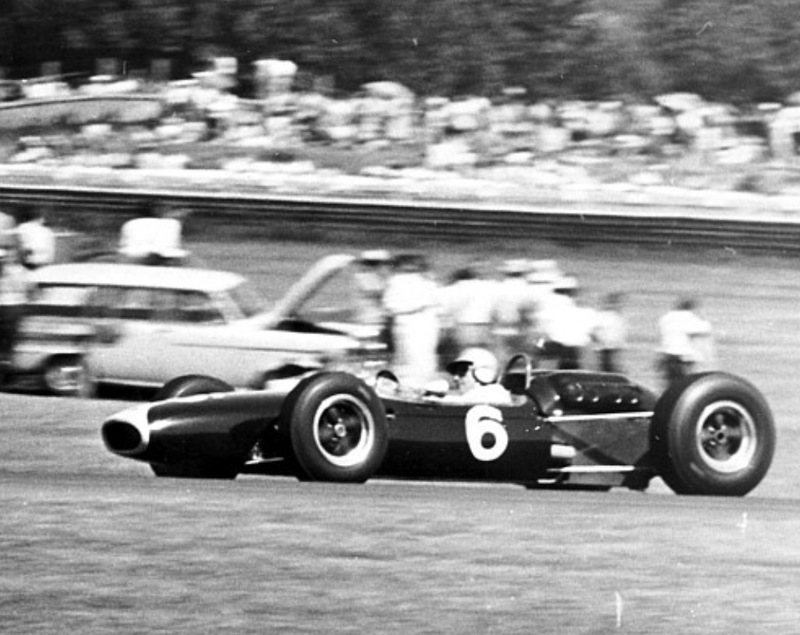 For his 1965 Tasman campaign Bruce returned with a new Cooper T79 for himself, only one was built, it was tagged ‘FL-1-65’. 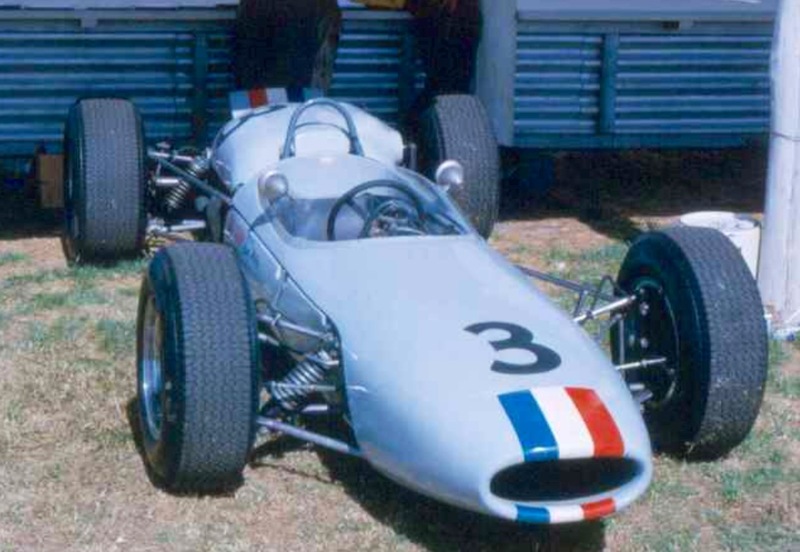 ‘FL-1-64’, the surviving 1964 chassis raced as above was updated and used very competitively in the ’65 Tasman by 1961 World Champion, Phil Hill. 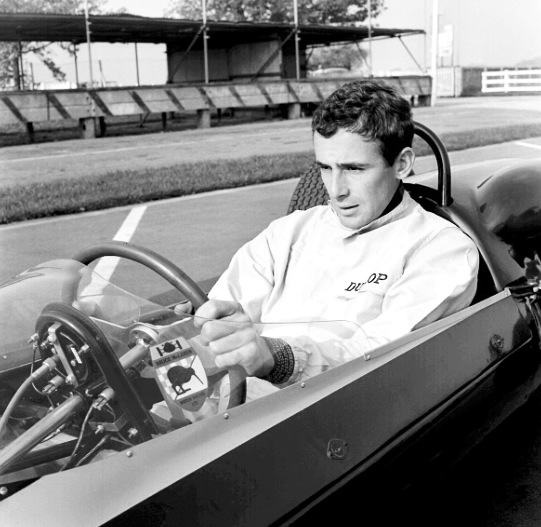 In fact the series was his last in single-seaters. When updated the perfectly good, ‘FL-1-64’ tagged frame was re-tagged with the ‘FL-2-64’ plate off the frame destroyed by Mayer at Longford. 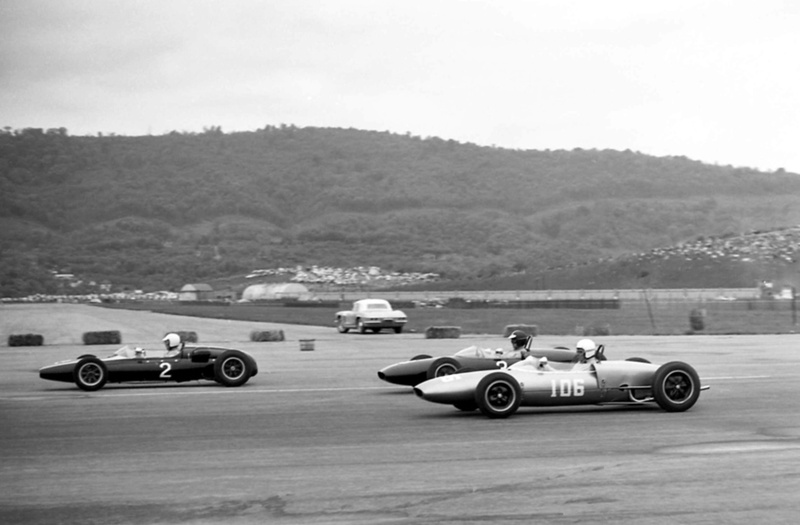 This was done at Coopers with the consent of all concerned; John Cooper, McLaren, Teddy Mayer. 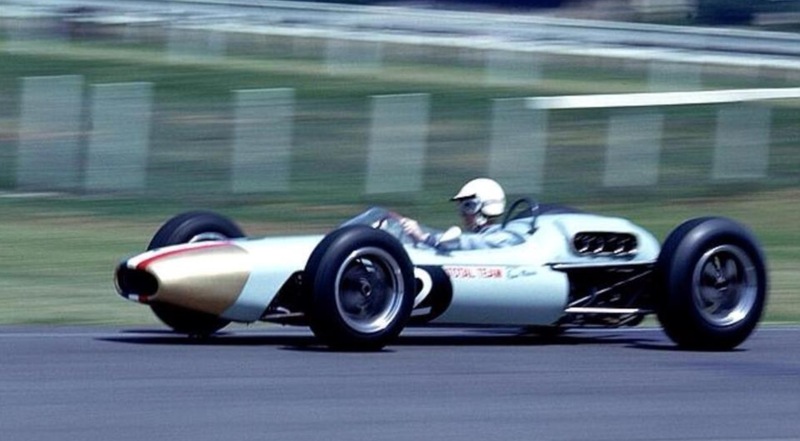 It is this chassis, ‘FL-1-64’ now tagged ‘FL-2-64’ which raced on in Australia ‘in period’ by John McDonald and was later acquired by Richard Berryman, and upon his untimely death passed to his son Adam. Far from it in fact. 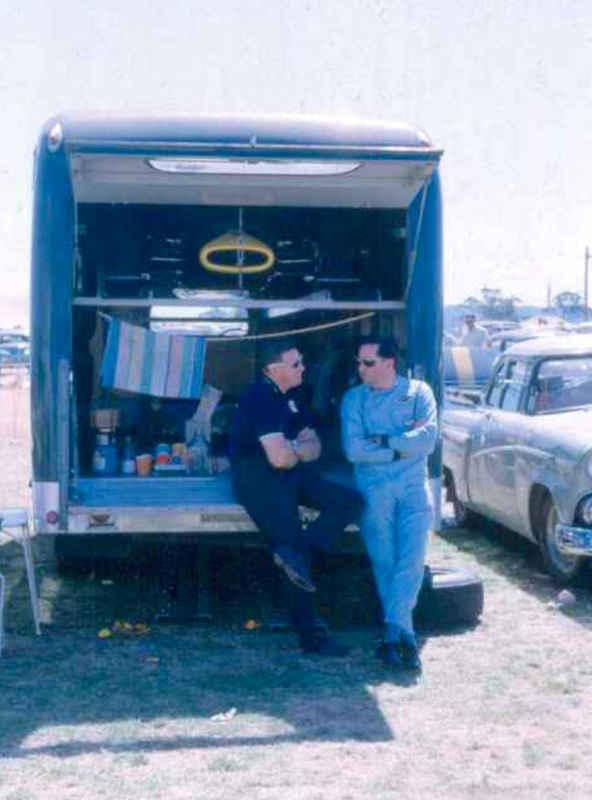 The details were only unravelled when Adam Berryman met Wally Willmott, who built the T70’s with Bruce at Coopers, all those years ago. 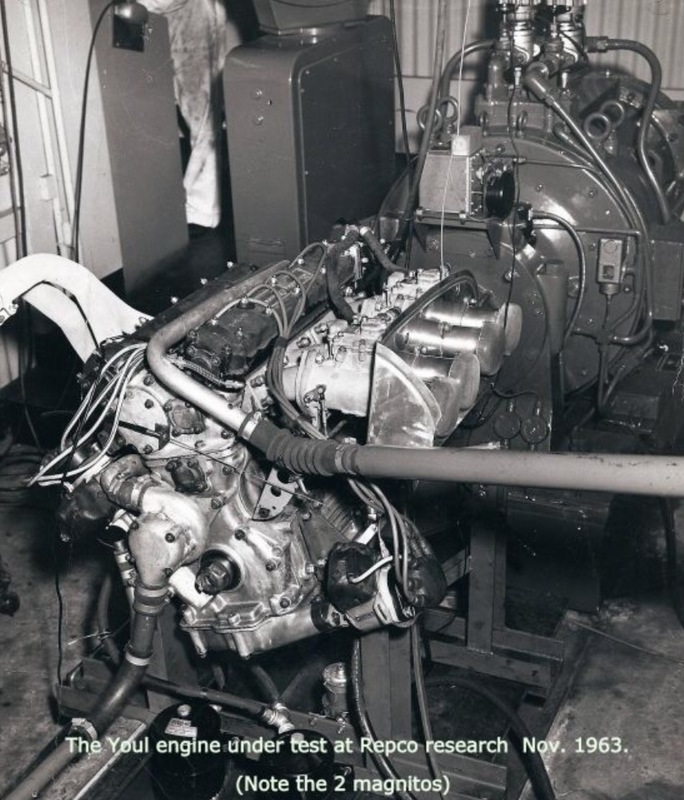 As part of the rigorous process of Berryman getting the Confederation of Australian Motor Sport historic ‘Certificate of Description’ to race the car, the history of the two chassis was clarified as a result of information shared and debated between Berryman, Doug Nye, (who wrote ‘Cooper Cars’) Willmott and Bryan Miller, the CAMS Historic Eligibility Commission Chairman. Further detail on each chassis i will cover in an article on the T70’s. 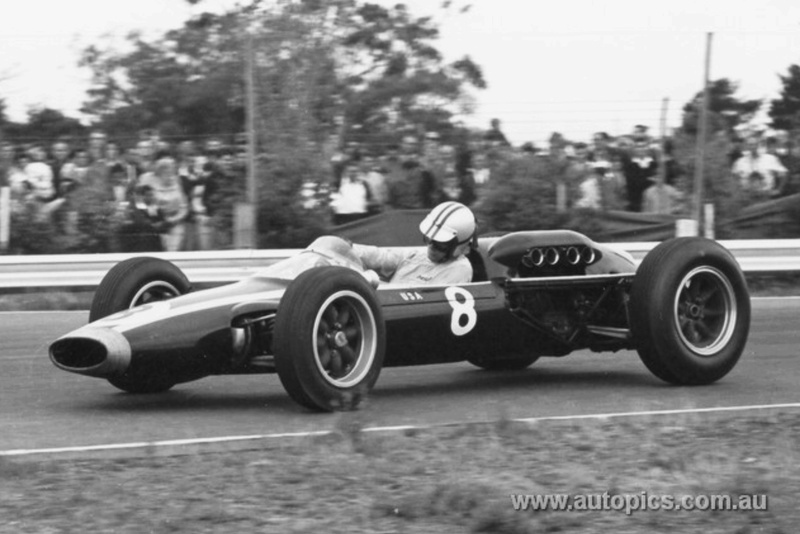 Bruce went on to win the inaugural, 1964 Tasman Series with a fighting second place behind Graham Hill’s Scuderia Veloce Brabham BT4 Climax at Longford, the series final round He won by 6 points from Jack Brabham’s BT7A and Denny Hulme’s Brabham BT4. Tim’s accident took place during the Friday afternoon practice session. 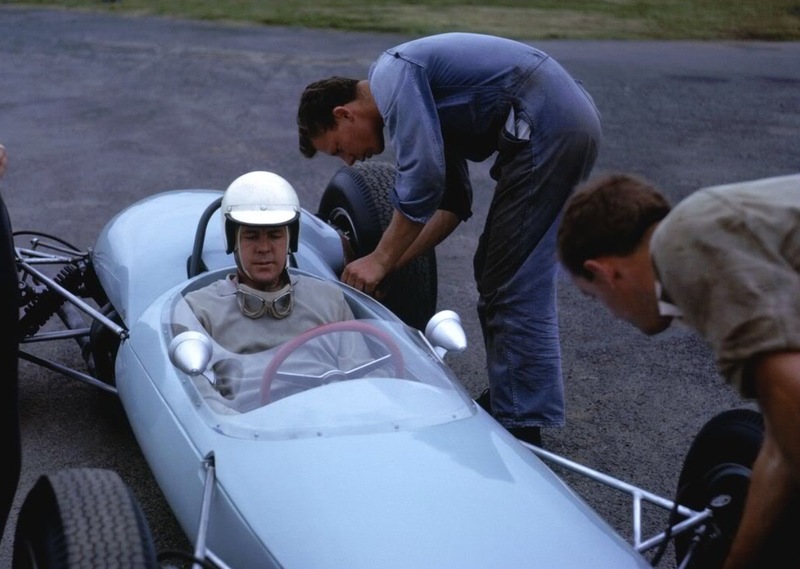 He was keen to do well of course, racing amongst F1 champions Hill and Brabham, GP winner McLaren as well as host of aspirants; Frank Matich, John Youl, Tony Shelly, Jim Palmer, Greg Cusack, Frank Gardner, Dave Walker and others. Longford’s 4.5 high-speed miles of undulating, tree and telephone pole lined roads with culverts was completed with a railway crossing, two bridges, a railway viaduct and more. Its blend of Tasmanian roads and topography was unforgiving to say the least. It had many nuances, younger drivers needed miles there to appreciate them. Neither Mayer or fellow Cooper pilot Rocky Tresise, a year later, learned the subtleties of the place and paid the ultimate price as a consequence. Undoubtedly it was a circuit to attack only after deep familiarity. 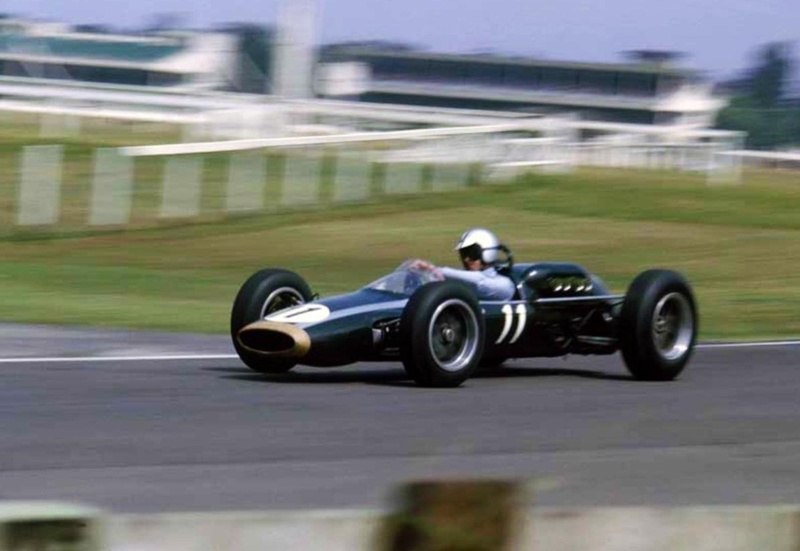 I asked multiple Australian Gold Star Champion, Taswegian John McCormack if he raced his ex-Brabham BT4 Climax there, ‘I drove there, I wouldn’t say that I raced that first time though’ was John’s typically candid response. 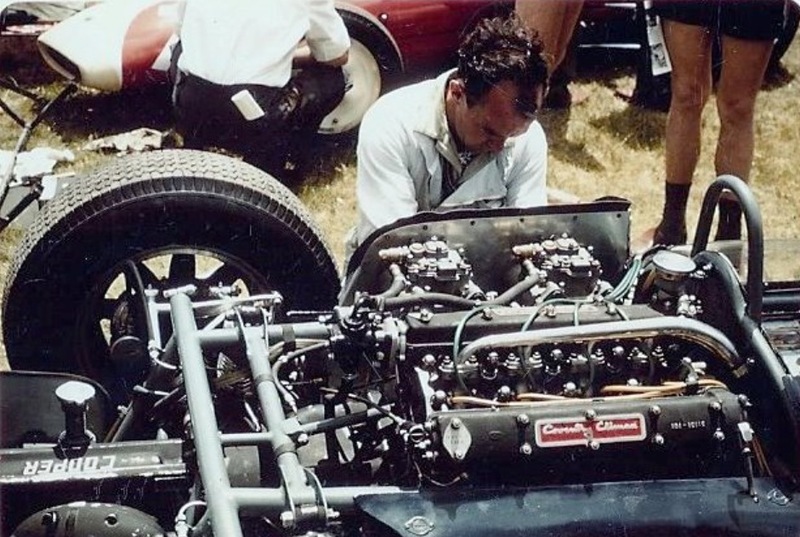 Needless to say these cars were far from ‘safe’; they were of multi-tubular spaceframe construction and had no deformable structures other than the aluminium saddle tanks carrying plenty of Avgas…The 2.5 Coventry Climax 4 potter gave 235 powerful horses, the cars did better than 160mph on ‘The Flying Mile’, more than quick at a place like this. A ‘big one’ was all too often the drivers last in cars of this ilk. Mayer was on the ‘back section of the track, on the fateful lap. He had completed pit straight, then headed down hill, traversed the left-hand, blind entry left, right Viaduct and crossed the River Esk on Kings Bridge. He was on Union Straight which leads to Longford/Pub Corner, a 90 degree right hander. Tim was using a tall top gear doing better than 160. 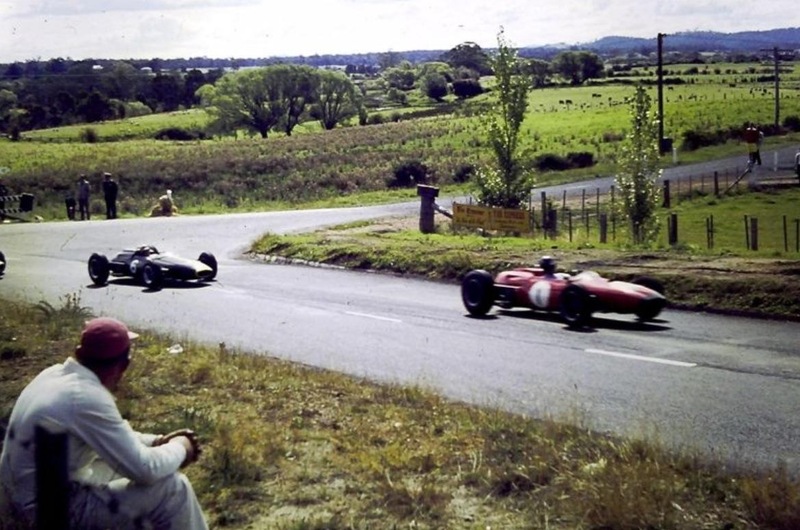 The tricky bit of the circuit here, important for lap times was to fly the hump before Longford Corner; critical was landing square and braking almost immediately upon landing but not being too savage on the brakes to avoid giving the car a big fright whilst it was relatively unstable. The landing was the problem in this case. Perhaps the car landed badly due to wind or being lined up poorly, or perhaps Tim braked too hard before the Cooper had settled enough back onto its springs, either way it was all over in the blink of an eye. ‘The Cooper slewed sideways into a 15ft plane tree. 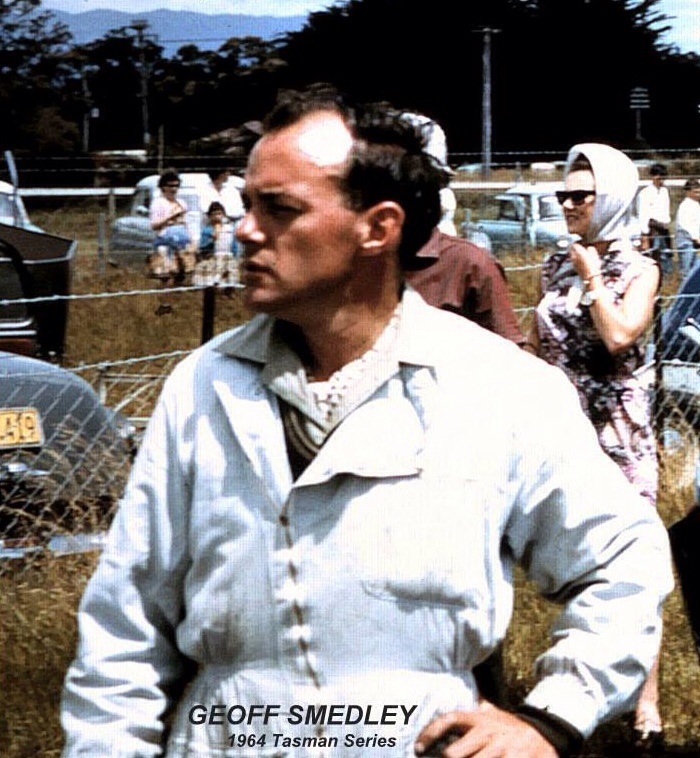 The car split into two; Tim was thrown 50 yards to the other side of the road, instantly breaking his neck’ recounts Barry Green in ‘Longford: The Fast Track Back’. ‘Sports Car World’ reported that ‘Apparently (always a worry when a report says this!) Mayer became airborne off the hump after Kings Bridge. The car landed slightly sideways, Mayer caught it, but the two left hand wheels had got into the dirt. The car then slid into a plane tree and disintegrated throwing Mayer out’. I don’t wish to labour the point but rather use three contemporary reports to look at their similarity and differences, it does not change the result but the actual cause will never precisely be known. 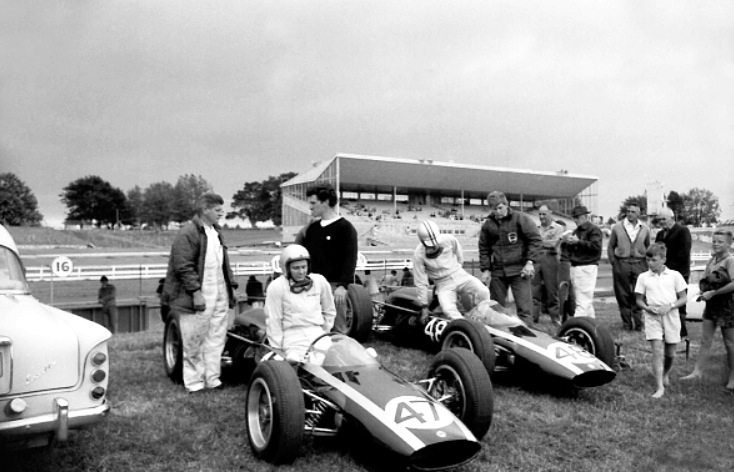 Tim’s death directly lead, as most of you know, to his manager brother Teddy Mayer’s involvement as a shareholder/director of Bruce McLaren Motor Racing Ltd. Tyler Alexander was part of Mayer’s Tasman crew too, both he and Teddy were huge contributors to the phenomenal McLaren success which followed over the ensuing decade. In that sense, something positive became of the terrible events all those years ago, without in any way trying to make light of Tim’s demise. Checkout this amazing short documentary on the ’64 Longford carnival. There is some in car footage which superbly illustrates the difficulties of the track, inclusive of the area where Tim came to grief. ‘It is so very hard to write an appreciation of one who was more than just another racing driver to us. Tim Mayer was a newcomer to international racing and although we knew him for only five weeks in New Zealand, it was not difficult to make an accurate appraisal of the 26-year-old American. 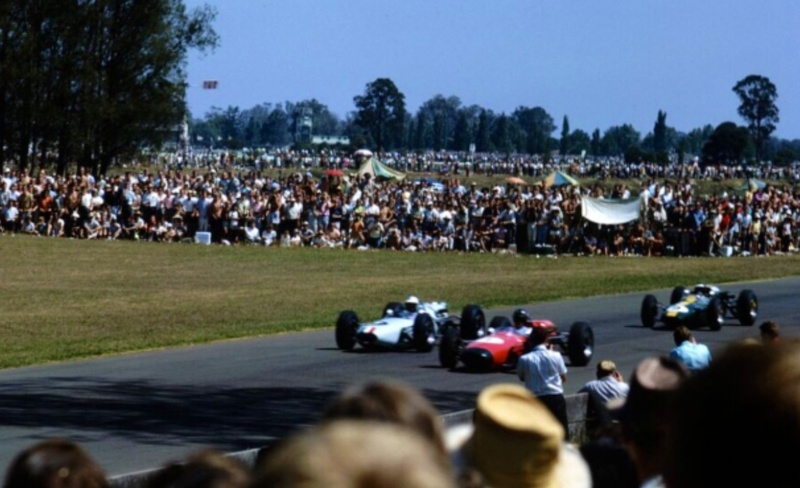 His death during a practice session for the final round of the Tasman Championship at the Longford circuit in Tasmania on February 28 was a sudden shock to many. Twelve months ago he was practically unknown and even of late his appearance to some was much of a novelty. 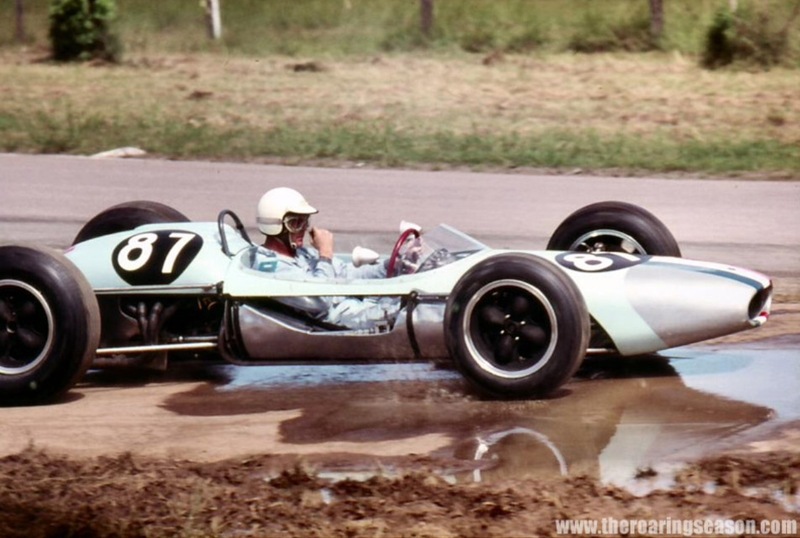 Tim was not the ‘boy’s book’ ideal of a racing driver. He looked more the university or law student figure and, indeed, he did have a very sound education. Tall and slender – 6 foot and 145 lbs – Timmy was married in 1961 to charming Garril. 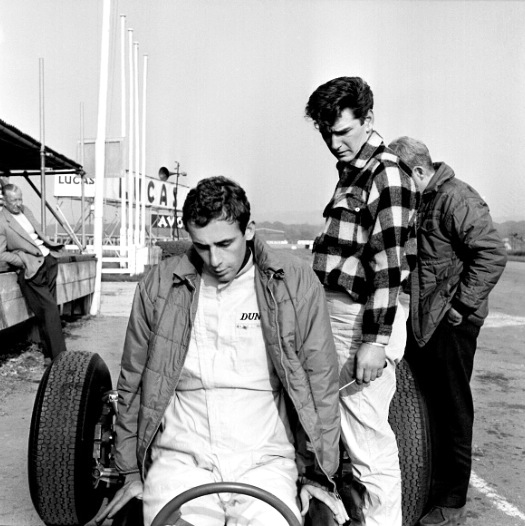 Even then Timmy was backed and assisted by his brother, Teddy, who has accompanied him throughout his career with cars. 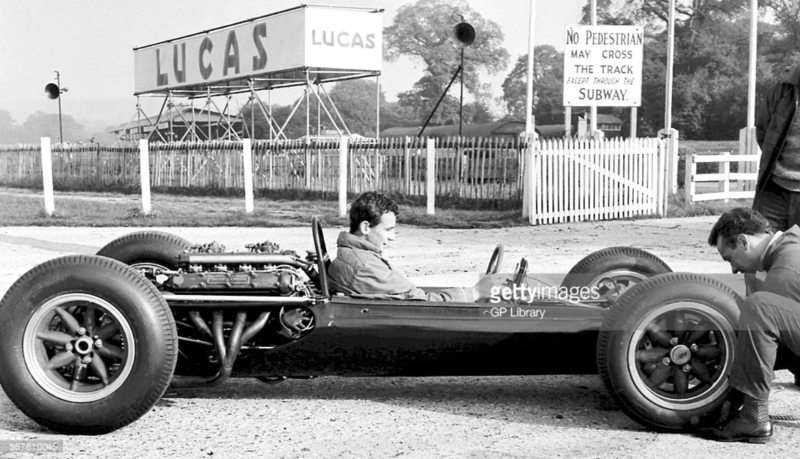 Of his early racing he says it was mostly ‘crash, burn and try to learn.’ For 1960 Tim had a new Lotus 18 junior and in eight races he was second five times. The car was wrecked when Timmy ran into a horse barn at Louisville, thus bringing the year’s racing to an end. At that meeting he met Dr Frank Falkner, Cooper’s agent in the U.S., who was to help the young American. By the age of 22 Tim had a degree in English literature from Yale University but it was time for the two-year army stint. Tim was able to continue pursuing his desire to become a top-line driver in the army, however, as the officers appreciated the value of a quick corporal at motor race meetings. He used an FJ Cooper and while based in Puerto Rico was able to race almost every weekend in many parts of the country. 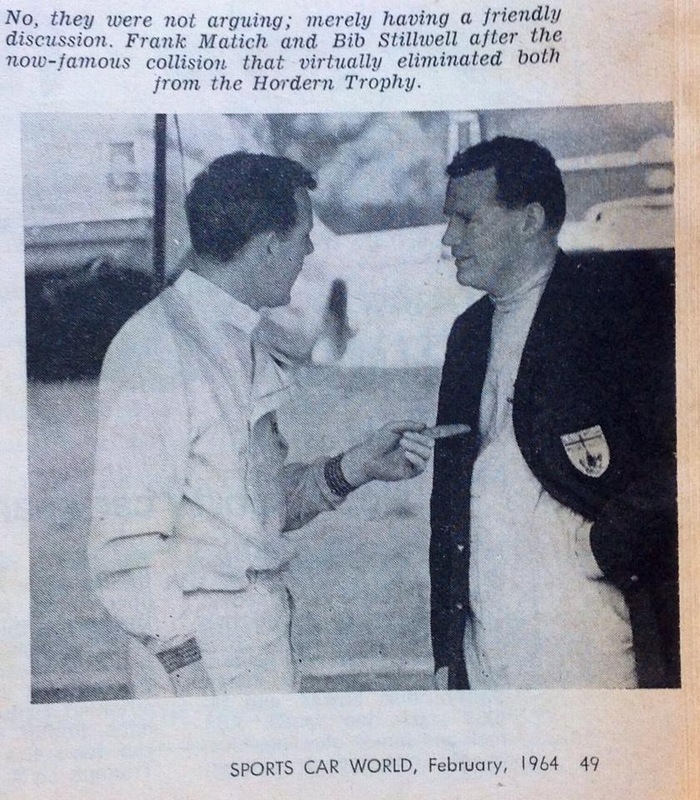 The big break came in 1962 when he was acclaimed the most improved and outstanding driver of the year. 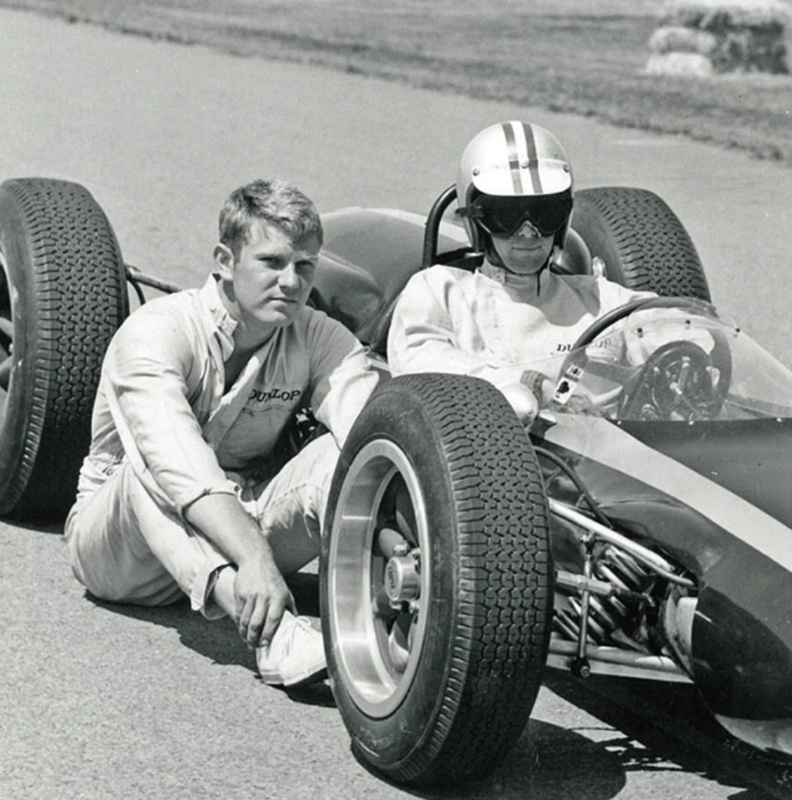 With a brand new Cooper junior he won the United States SCCA Formula Junior Championship. 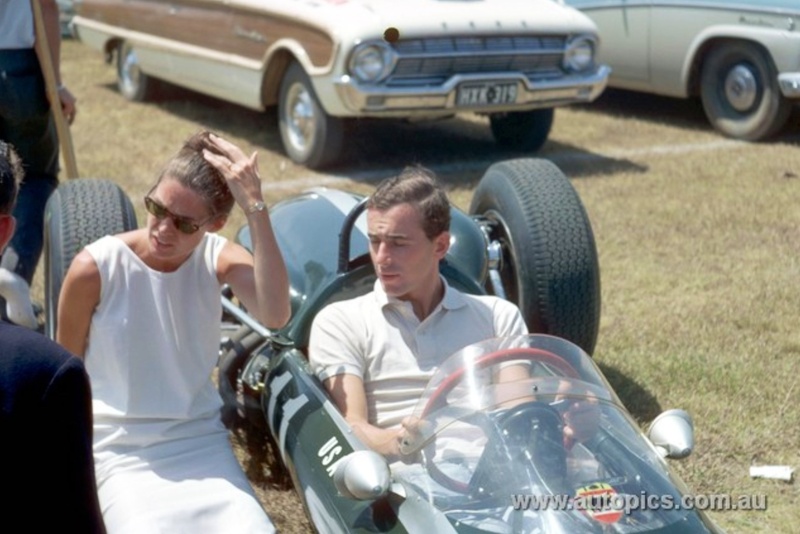 These results landed him an entry in the US Grand Prix with a third car owned by the Cooper works. He was the fastest of the privateers in practice but the gear lever came unstuck during the race. 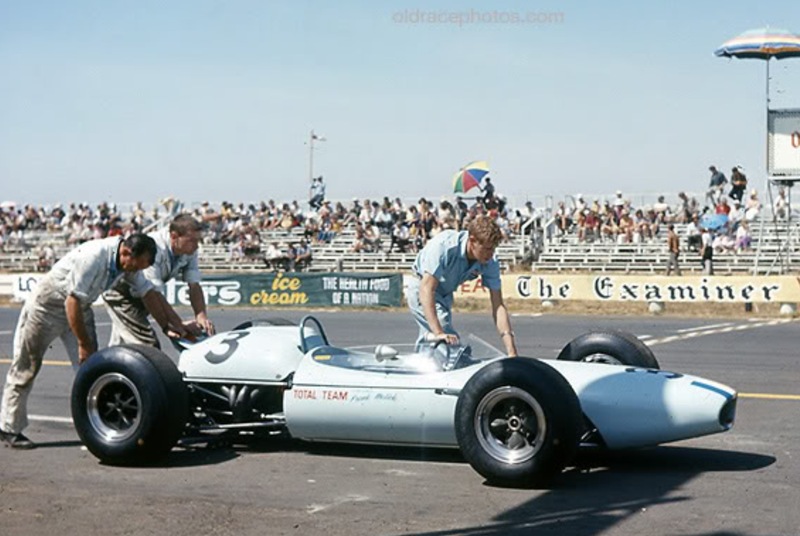 At Riverside last year he led the 2-litre class with a new Lotus 23B until heat forced his retirement, but he won his class and finished 5th overall at Laguna Seca. 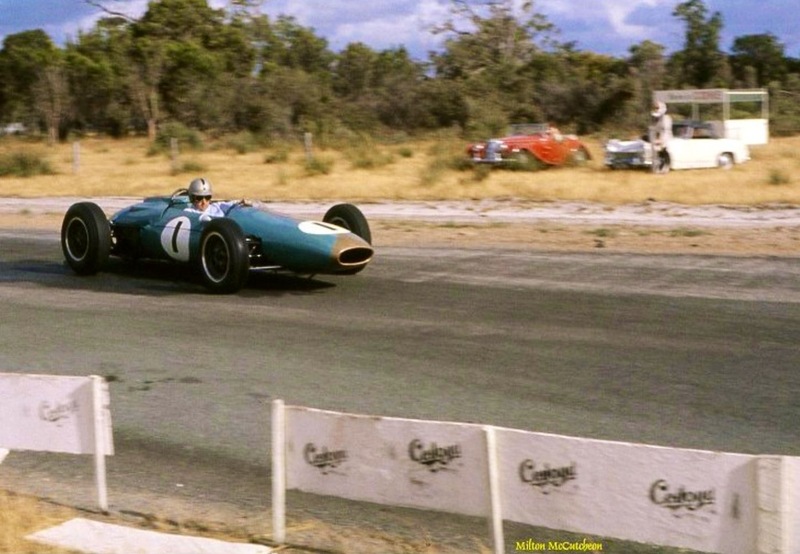 He was made two Christmas presents – a drive with one of the McLaren Coopers in the Australasian series, and number two man in the Cooper works formula one team for 1964. 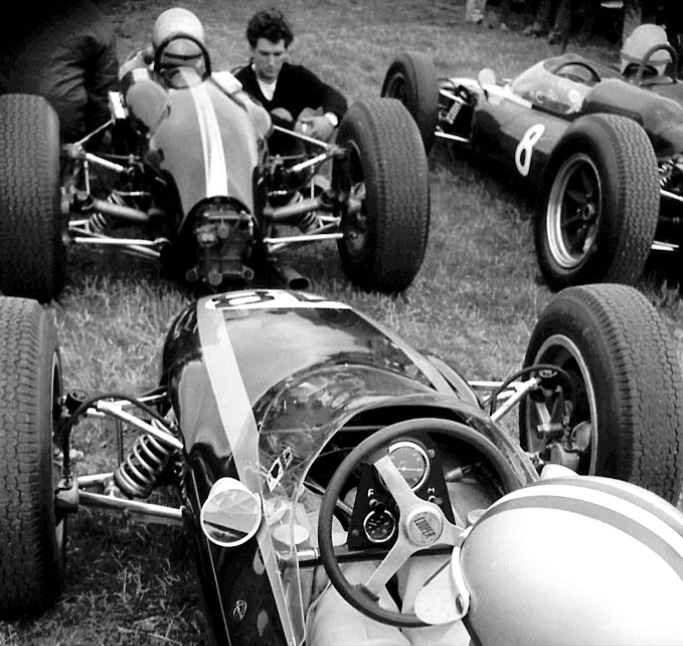 When Tim first drove the 2.5 he found it a different kettle of fish to the juniors. ‘With the little cars you have no power to get out of trouble.’ So Tim, Garril, Teddy and mechanic Tyler Alexander came south to New Zealand with the McLaren team – and they won many friends. He was second at Levin, took third place at Pukekohe, but had trouble at Wigram and couldn’t do any better than 8th position. At Invercargill he finished second to his team-mate and was fourth in the Australian GP after losing second position with fuel trouble. He was third at Warwick Farm. 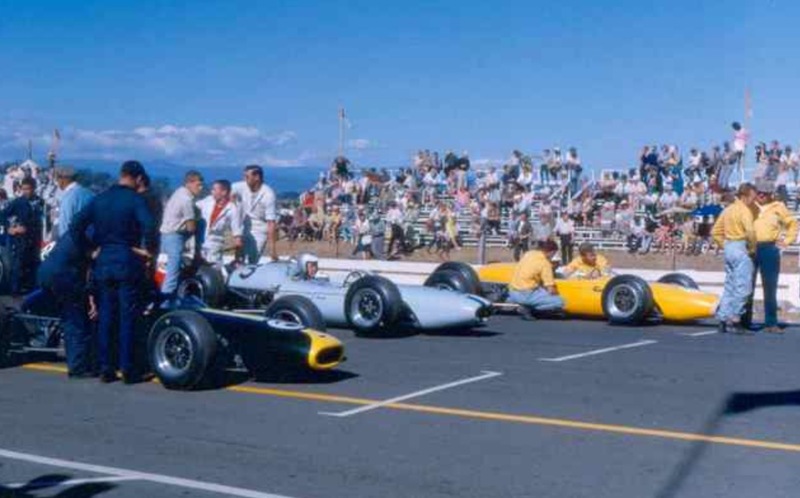 Consistent placings resulted in the American driver finishing third on points in the New Zealand races for the Tasman Championship, behind McLaren and Hulme, with 16 points. 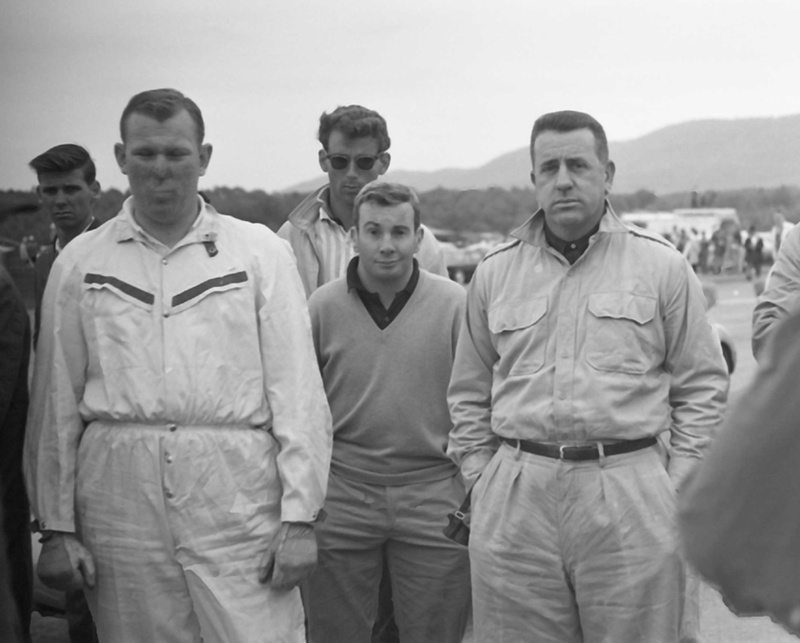 Timmy – the nephew of Governor Scranton of Pennsylvania – had a real American outlook to motor racing: he wanted to go to the top. He was perhaps fortunate in having financial means to purchase the best machinery during his early career, but he also developed the ability to handle same. Money cannot buy driving skill. From his ‘varsity days when he worked as a disc jockey on radio stations he was a keen journalist and wrote for a number of publications. Not only was Timmy a fine driver and scholar: he was also an enthusiastic athlete. Water skiing, squash and other activities were the order of the day in New Zealand when other business was cleared. Wherever the Mayers went in this country they gained respect. Tim, with his broad accent, was a fine ambassador for his country and a true enthusiast. There was always time to talk to anyone – no matter how small they were on the circuit, or how insignificant their name might be. Quiet, unassuming, and not likely to be noticed in a crowd of drivers, Timmy Mayer left his mark in this country. It would seem very cruel that we should lose a fine driver who had come so far in such a short time. We pay tribute to Tim Mayer and his kin, Garril and Teddy who helped him so much in the sport he loved’. ‘Intelligent and charming, Timmy had made dozens of friends during his career. As often occurs, to look at him you wouldn’t take him for a racing driver. You had to know him, to realize his desire to compete, to do things better than the next man, be it swimming, water-skiing or racing. So when, during second practice at Longford, he crashed at high speed and we knew immediately that it was bad, in our hearts we felt that he had been enjoying himself and ‘having a go’. The news that he died instantly was a terrible shock to all of us. But who is to say that he had not seen more, done more and learned more in his 26 years than many people do in a lifetime?